Not everyone is into fancy high-end phones in the market that might cost a kidney or two. LG recently announced its G Pro Lite phablet that gives you a large screen Android device with mediocre specs and of course, a much more affordable price tag compared to flagship smartphones of today. Like the existing Optimus G Pro that was launched in Malaysia in July, it comes with a large 5.5” screen but with a much lower resolution of only 540 x 960; the original G Pro has a full HD 1080p display. On the inside, LG has also trimmed down the specs to an entry-level 1GHz dual-core MediaTek processor with 1GB of RAM, 8GB of internal storage expandable via microSD and an 8MP rear camera. Measuring at 150.2 x 769 x 9.4mm, LG manage to squeeze in a nice and large 3,140mAh battery in the back, as well as a slot for the Stylus Pen located on the top of the phone. As for the software side, the LG G Pro Lite will feature the latest UX from the company found on the premium G Series – G Pro and G2, with KnockON, Pause and Resume Recording, Q Slide, QuickMemo, Q Translator and more. The device will debut this month in Latin America, followed by markets in Asia, Russia, China, India and the Middle East. 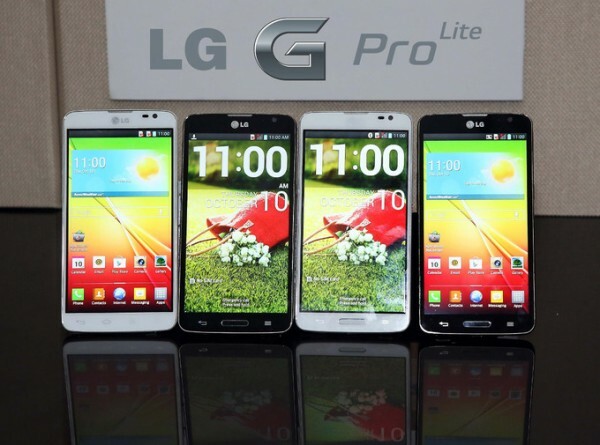 LG did not mention anything with regards to the pricing, but judging from the specs and the fact that the Optimus G Pro costs only RM1,888, it will definitely be very attractive when (if) the G Pro Lite arrive in our market. GTA V Is Coming to PC "Early 2014"